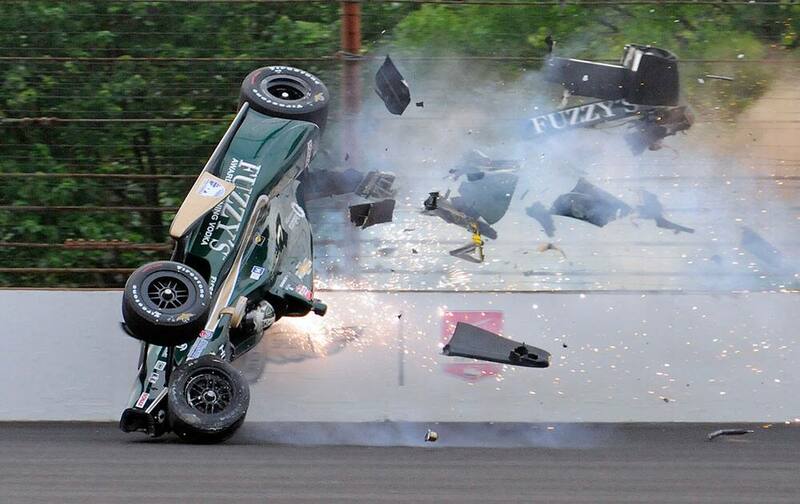 Ed Carpenter hits the wall in the second turn during practice before qualifications for the Indianapolis 500 auto race at Indianapolis Motor Speedway in Indianapolis. Indian Hindu devotees help bathe an elderly woman as they perform rituals in the the river Ganges on Somvati Amavasya, or no moon day, in Allahabad. 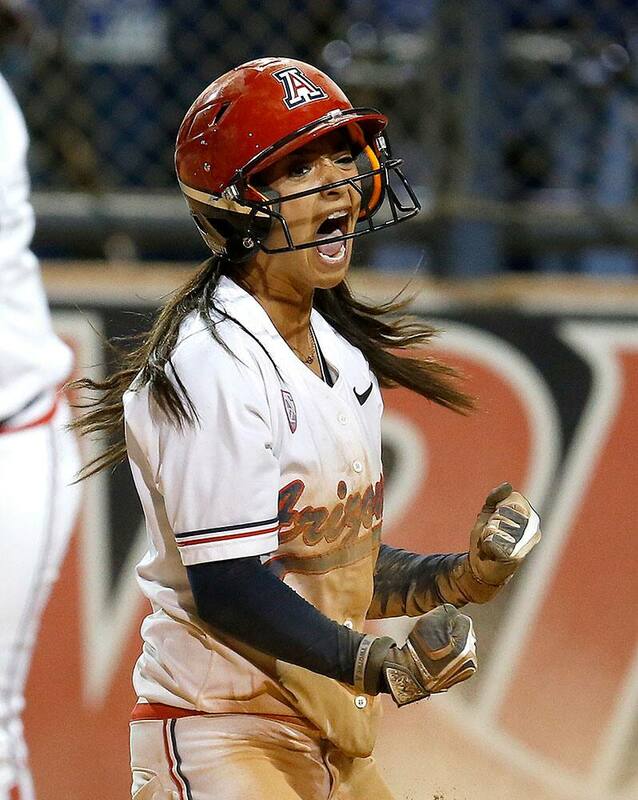 Arizona infielder Chelsea Suitos celebrates after scoring the game-winning run and defeating Minnesota 7-6 in an NCAA college softball tournament regional championship game. Brazil's Filipe Toledo surfs to win the final of the World Surf League (WSL) Rio Pro championship in Rio de Janeiro, Brazil. 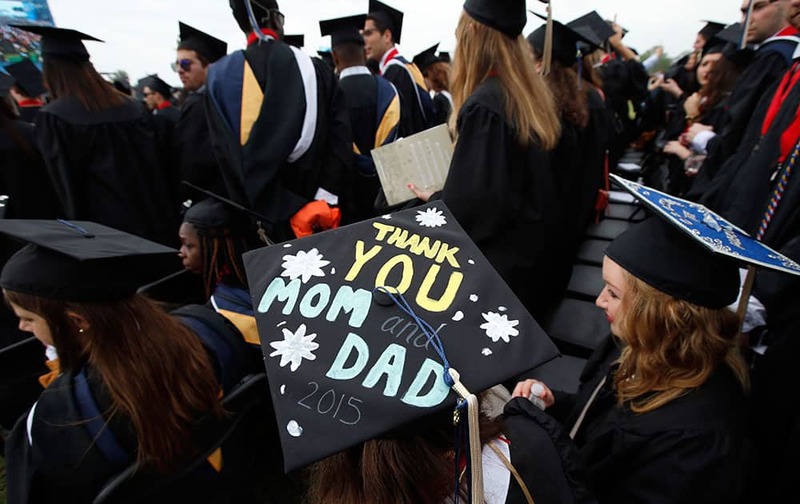 Graduates are seated during George Washington University's commencement exercises on the National Mall, in Washington. 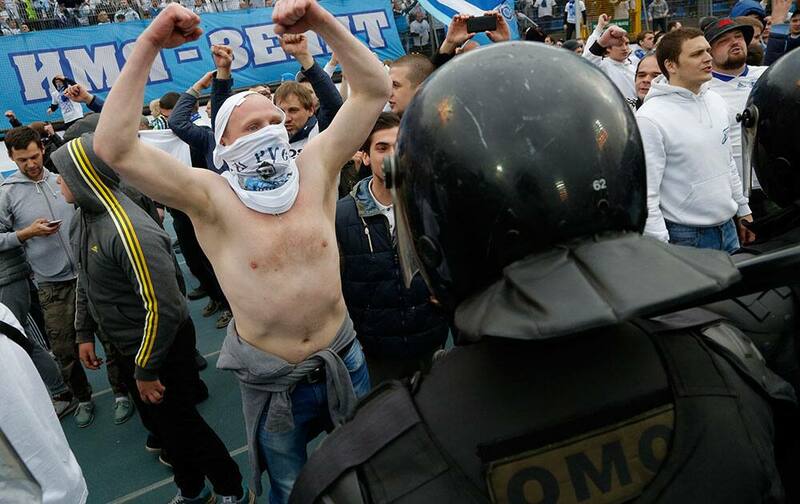 Zenit's fans celebrate Zenit winning the national soccer Championship prior a match against Ufa at Petrovsky stadium in St.Petersburg, Russia. 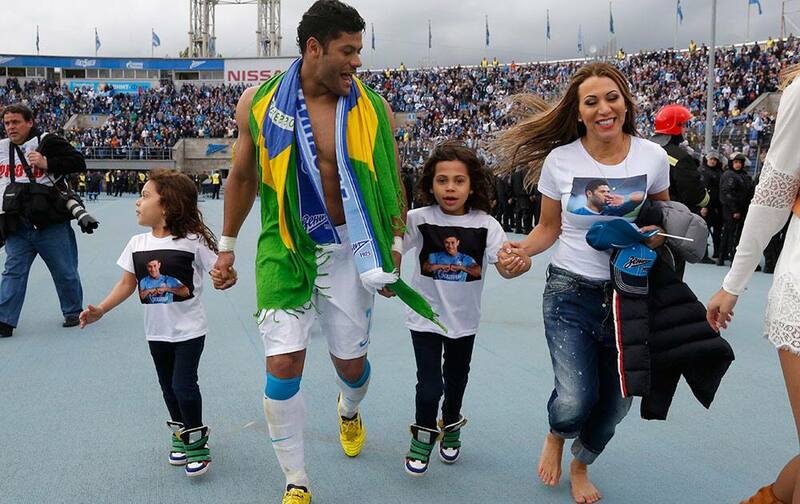 Zenit's Hulk celebrates with his family after winning the national soccer Championship after match against Ufa in St.Petersburg, Russia. Maria Sharapova, of Russia, is sprayed with champagne as she holds the trophy after defeating Carla Suarez Navarro of Spain. 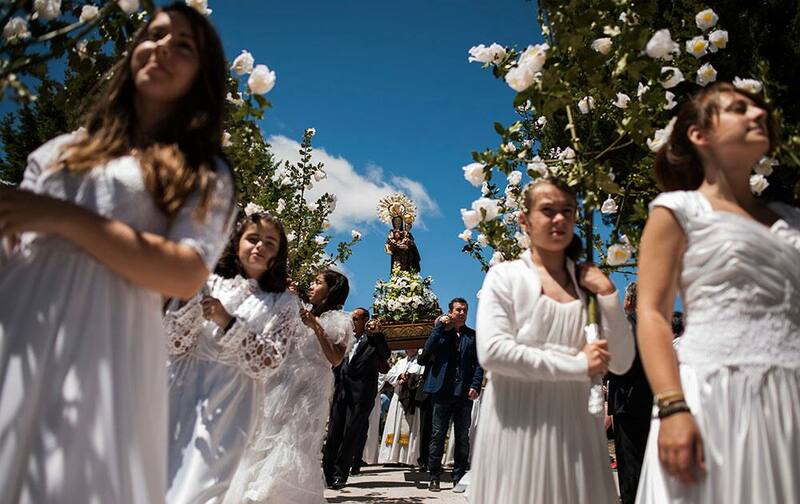 Teenagers dressed in bridal white surrounded by flowers, take part in the pilgrimage "The Hundred Maidens", in Sorzano, northern Spain. Peter Sagan, of Slovakia riding for Tinkoff-Saxo, is kissed on the podium whole being awarded the overall race leader yellow jersey at the eight final stage of the Amgen Tour of California cycling race 65.3 miles from Los Angeles to Pasadena. 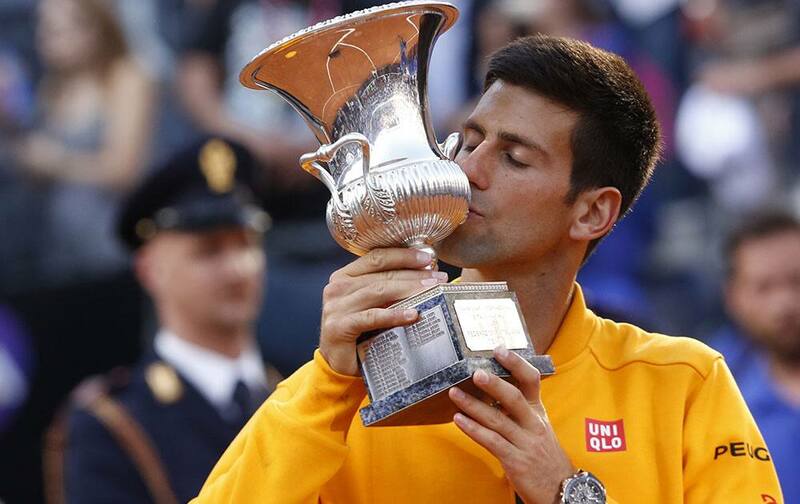 Serbia's Novak Djokovic kisses the trophy after defeating Switzerland's Roger Federer in their men's final match at the Italian Open tennis tournament, in Rome. 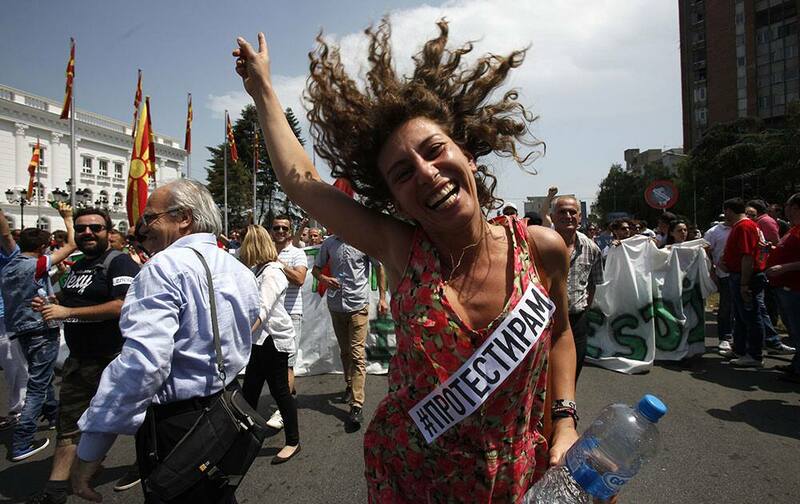 A woman dances while protesting in front of the Government building in Skopje, Macedonia. 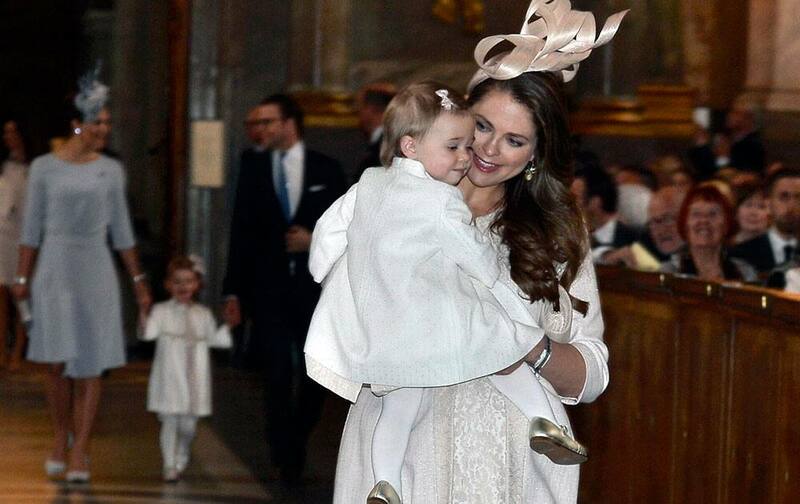 Sweden's Princess Madeleine and her daughter Leonore arrive for a service in the Royal Chapel in Stockholm, Sweden. 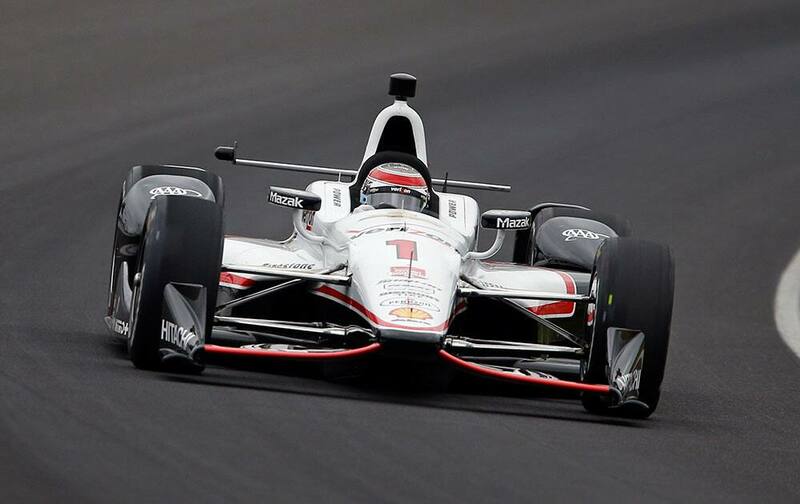 Will Power, of Australia, drives through the first turn during practice before qualifications for the Indianapolis 500 auto race at Indianapolis Motor Speedway in Indianapolis. 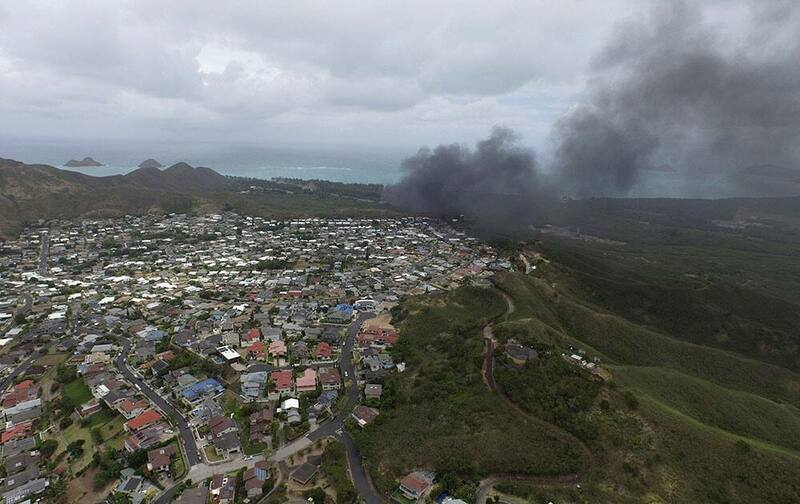 In this photo taken by a drone, smoke rises from a Marine Corps Osprey aircraft after it made a hard landing on Bellows Air Force Station near Waimanalo, Hawaii. RCB SKIPPER VIRAT KOHLI TALKS WITH HIS GIRLFRIEND BOLLYWOOD ACTOR ANUSHKA SHARMA AS CRICKETER YUVRAJ SINGH LOOKS ON WHILE ROYAL CHALLENGERS BANGALORE AND DELHI DAREDEVILS IPL MATCH STOPPED DUE TO RAIN IN BENGALURU.